Justice S.R. Sen's recent order in the Meghalaya high court is divided on religious lines and reflects a protectionist attitude towards Hindus. 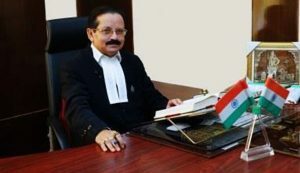 A Meghalaya high court judge had to recently pass a clarificatory order stating that he is not a “religious fanatic.” The need for a clarification sprang from his judgment two days earlier calling the National Register of Citizens (NRC) process in Assam “defective” because it left out “original Indians.” He said that the ‘Sikhs’ who came to India were rehabilitated, but ‘Hindus’ were not. The ‘Hindus’ who entered during Partition, he said, are still considered foreigners. In Justice S.R. Sen’s view, all Hindus, Sikhs, Jains, Buddhists, Parsis etc – irrespective of the date they entered India and have since been residing here – should be declared ‘Indian citizens’. Muslims are excluded from his list. He also expects the government to take a conscious decision to protect innocent ‘Hindus’ and eight other non-Muslim religious groups. The judge further states that several conversions “took place by force”. Strangely, he does not see Muslims in India as ‘citizens’ and says that members of the community whose families have been residing in the country for generations and abiding laws, “should also be allowed to live peacefully”. He proceeds to ‘appeal’ to all the Hindus of “Barak Valley and Assam Valley” to come together to find an amicable solution. These observations of the high court are in direct conflict with the constitution and the constitutional principles declared by the Supreme Court. 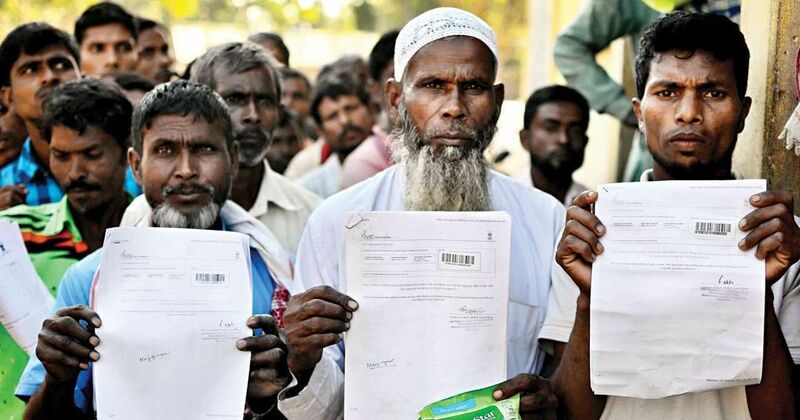 It also violates judicial principles of judgment writing and the sub judice rule because the NRC issue is pending before an apex court bench headed by the Chief Justice of India. Such sweeping remarks about the NRC process being ‘defective’ is serious judicial overreach. When the high court exercises its power to examine the violation of legal or fundamental rights under Article 226 of the constitution, it cannot apply interrelated legal provisions. Whether a law shall apply or not depends upon undisputed or adjudicated facts of the case. In this jurisdiction, the judge is not required to get into contested facts. In this case, the judge has given his views on issues which are not ‘undisputed facts’. He has quoted three books in 16 pages of his 37-page order to say all the above. He has treated the averments in books as adjudicated or admitted facts. Can a judge be permitted to do this? Justice S.R. Sen of the Meghalaya high court. One of the three judges of the Allahabad high court, while deciding the Ram Janmabhoomi-Babri Masjid title case, wrote about one set of historians and writers that they “were mostly petty employees of the East India Company” and “nobody made any detailed investigation whatsoever”. He also stated that “none tried to find out the actual events which took place and correct historical facts”. This is another example of an extreme when dealing with writers and historians. The present judicial order is divided on religious lines of ‘Hindus’ and ‘Muslims’ and reflects a protectionist attitude towards one community. The judge has conveyed a personal message to the ‘Hindus’ of ‘Barak Valley and Assam Valley’ saying that ‘our culture, traditions and religions are same’. A judge certainly has a fundamental right to freedom of religion. But can a judge’s ‘personal religious belief’ be channelised through a court? In 1996, a three-judge bench of the Supreme Court led by Justice J.S. Verma declared that the term ‘Hindutva’ by itself does not invariably mean the Hindu religion but ordinarily, it is understood as a way of life or a state of mind. The court further said that the term is not to be equated with, or understood as religious Hindu fundamentalism. The said observation has already done some damage to our secular polity. It appears that now, such observations have also created serious damage to the judicial discipline for institutions to follow. The present judgment reflects the strong personal consciousness of the judge’s religion and has damaged the impartiality of our judicial institutions. The judge is under an obligation to communicate his views through constitutional principles and not through his personal favour and prejudices and in that process glorify a section of society or a particular belief system. The scope of this judgment crosses all limits of secular constitutional principles as declared by the Supreme Court stating that ‘secularism is a part of the basic structure of the constitution’. In 2009, Justice K.T. Sankaran of the Kerala high court declared that ‘there is a movement or project which is called “Romeo Jihad” or “Love Jihad”’ conceived by a section of Muslims. He stated that the idea appeared to be to “convert girls belonging to other religions to Islam” and thereafter directed an investigation – which proved the concept of ‘love jihad’ was propaganda. However, this unnecessary observation of the judge caused immediate, irretrievable damage to the community as well as the impartiality of the institution. Even after the probe had found nothing of the sorts, many columnists kept referring to the observation of the high court as if it were the gospel truth. The present judgment of the Meghalaya high court has been damaging to the system of higher courts. Even if it is subsequently set aside, the loss of reputation of the judiciary is irretrievable. Till now, there has been a clarification that the culture of law and law-making in our country should be on secular lines. After this judgment, a clarification is needed that the culture of judgment writing should also be on secular lines and if a judge crosses these limits, appropriate remedial measures must be taken. M.R. Shamshad is an advocate-on-record, Supreme Court of India.